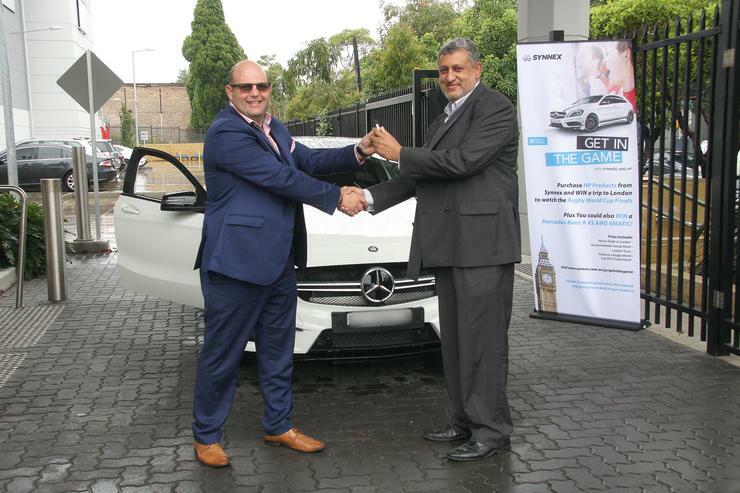 ICT distributor, Synnex Australia, has named Triforce as the winner of a new Mercedes Benz A45 AMG 4MATIC car following the results of its ‘Get in the Game’ promotion, in conjunction with HP Australia and Hewlett Packard Enterprise. Triforce was announced the winner of the promotion, which ran across the Hewlett Packard Enterprise range as well as HP PCs and notebooks over the second half of 2015. “We’re delighted to announce the successful conclusion of another significant joint promotion between HP Australia, Hewlett Packard Enterprise and Synnex Australia,” Synnex Australia product director, Mark Ung, said. In November last year, the companies rewarded 16 HP Australia partners with a trip to London for the 2015 Rugby World Cup Finals game and it continued on to determine the winner of this major prize, the A45 AMG Mercedes Benz. “It’s a testament to Synnex Sales and Marketing teams that we have continued to develop innovative programs to meet HP Australia and Hewlett Packard Enterprise objectives and reward Synnex channel partners,” Ung added. Hewlett Packard Enterprise distribution account manager, Milton Bowry, congratulates the Triforce team for a great result in 2015. “We look forward to the partnerships between Synnex and Triforce growing in 2016 across the Hewlett Packard Enterprise portfolio,” he said. Triforce Australia director, Abbas Aly, mentioned that Synnex has been a terrific supplier to Triforce and its business has doubled year on year over the last three years, primarily to the flexibility and agility of Synnex Australia. “Communication and availability from the managing director, as well as all the staff is refreshing and allowed us to quickly make decisions and meet our customer requests. “We would like to thank Kee Ong, Bob Tang, Roger Wang and the whole team at Synnex for their ongoing support, year round. We look forward to another year on board with Synnex Australia and Hewlett Packard Enterprise,” he added.